Facebook CEO and founder Mark Zuckerberg made a cameo in The Simpsons this week on US TV, following in the footsteps of other tech gurus such as Steve Jobs and Bill Gates. Zuckerberg's cameo in Matt Groening's long-running animated comedy series follows the recent launch of the 'Facebook movie' The Social Network, which paints a rather unflattering picture of Zuckerberg and the early days of Facebook. The Simpsons featured Mark Zuckerberg in the "Loan-A-Lisa" episode, in which Nelson founds a successful bike shop and visits an "Entrepreneur Expo," where Lisa tries to convince him that he still needs to get a good education. However, the episode ends up featuring Mark Zuckerberg, Bill Gates and Richard Branson, with Zuckerberg telling the crowd,"I'll get the best kind of degree, honorary". 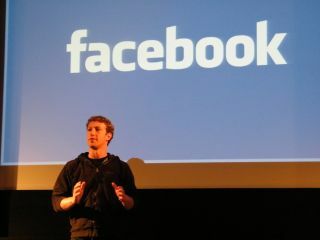 Facebook's Zuckerberg told The New Yorker that he has no plans to go and see The Social Network, written by Aaron Sorkin and directed by David Fincher – which is already garnering rave reviews with critics. David Kirkpatrick, author of book "The Facebook Effect," has said The Social Network is "compelling" but a "pastiche - an amalgam of fact and fiction".